* Effective April 22, 2019, suspensions for controlled substance violations, Underage Drinking and offenses related to such, will end. If charged with one of these offenses, consult with an attorney to determine if there is a strategy that can be implemented to prevent your license from being suspended. If you have been arrested or charged with a Drug Offense in Pennsylvania, don’t hesitate to contact an experienced attorney! Pittsburgh Drug Attorney Robert E. Mielnicki has more than 25 years of experience handling drug offenses in state and federal court. Attorney Mielnicki understands that good people make mistakes and that some are improperly charged with drug offenses. The Law Office of Robert E. Mielnicki is here to help you understand what lies ahead and the options you have under the law, including aggressively defending yourself against the charges. The unlawful possession of any drug for personal use is a misdemeanor in Pennsylvania. If the police believe that you possessed the controlled substance with the intent to deliver, you will be prosecuted for a felony. If convicted, you could face stiff penalties and possibly be sentenced to serve time in prison. Your license to drive will be suspended. The drug charge that an individual will face depends on the type of drug (marijuana, heroin, cocaine, etc.) and the quantity of the drug alleged to have been possessed by the individual. 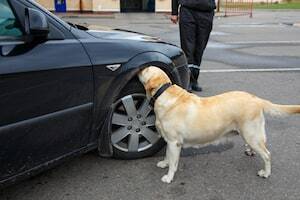 An individual may be charged not only on what was found on his/her person, but also on what was found in his/her motor vehicle, residence, locker, or other area that he/she used or had access to. Possession with Intent to Deliver is a unique crime. Often the police charge individuals with this serious crime based on nothing more than their own speculation that the person was going to deliver the drugs to an unspecified person at some unspecified time. Pittsburgh Criminal Defense Attorney Robert E. Mielnicki has been cross examining police officers for more than 25 years about their opinions that his clients possessed drugs with an intent to deliver them. He has folders of information from government websites and publications and books from addiction specialist as to the quantity of drugs a person addicted to such can expect to consume on a daily basis. He is often surprised that upon cross examining police officers, who chose to charge his clients with intent to deliver, that the officer has very little knowledge at all about how much drugs an addict can consume on a daily basis yet he has chosen to charge the intent to deliver based upon his client possessing an amount that could be consumed in a day or two. You Do Not Have to Plead Guilty if Charged With a Drug Offense! To speak with an attorney committed to providing you with the best possible defense, for a reasonable fee, contact the Law Office of Robert E. Mielnicki at (412) 288-0300.